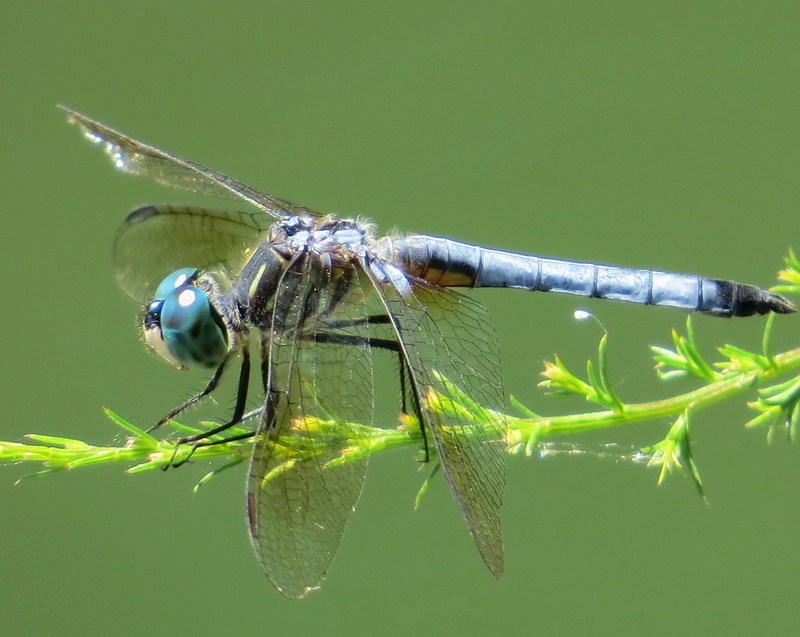 You have to get pretty close to see the white face on one of NYC’s most common dragonflies, the Blue Dasher (Pachydiplax longipennis). This is a male; as he gets older, his blue abdomen will get more powdery or chalkier looking. Such pruinescence, as it’s called, is caused by wax exuded from the animals’ cuticle. 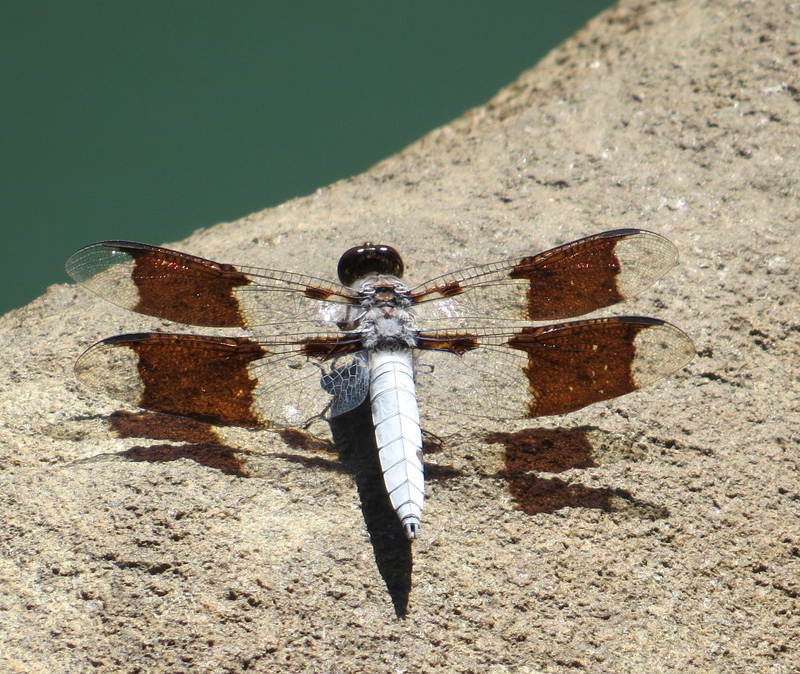 It’s seen on (mostly) males of many species of odonates, including spectacularly the Common Whitetail: Plathemis lydia. The blue dasher is one of my favorite dragonflies, perhaps because it is so common that I have finally learned to recognize it. It is also very cooperative – it perches frequently, and stays long enough for me to take its picture. Yes, they are great ones for perching. Of note: as the season progresses, new generations get smaller.